Among states’ anti-immigration legislation, Oklahoma’s laws loom large. Oklahoma in 2007 adopted a sweeping bill intended to crack down on unauthorized immigration. Predictably, the law prompted aggressive court challenges. A 1996 federal immigration enforcement law already authorized state and local officials to cooperate with federal immigration authorities, but Oklahoma legislators in 2007 doubled down. They passed the Oklahoma Taxpayer and Citizens Protection Act, widely known as HB 1804 for its bill number that year in the Oklahoma House of Representatives. In some ways, the 2007 Oklahoma law resembled federal laws already in place. One difference was that HB 1804 required local jailers to investigate immigration status. Federal law only authorized and requested local cooperation. First adopted in 1996, the federal Criminal Alien Program and a program called S-Comm authorized local jailers to collect information about immigration status and send fingerprints of inmates to a federal immigration database. A related federal program cryptically referenced as 287(g) deputizes local police – including some members of the Tulsa County Sheriff’s Office – to enforce federal immigration law. The more widely known federal immigration mechanism used in local jails is called an ICE hold. The ICE detainer program authorizes local jails to hold inmates for 48 hours beyond their scheduled release time when they have an ICE hold – technically an I-247 form signed by a U.S. Immigration and Customs agent. The Oklahoma Taxpayer and Citizens Protection Act of 2007 – or HB 1804 – enacted overlapping provisions and piled on more. The act requires local jailers to ask about the immigration status of anyone arrested for a felony or a DUI and suspected of being an unauthorized immigrant. It requires public agencies in Oklahoma to verify citizenship status of those applying for most public benefits. Public employers are required to verify federal employment status of newly hired workers. Oklahoma’s HB 1804 was controversial but for the most part, the Oklahoma Supreme court determined the law was constitutional. Two significant cases have carved out unenforceable provisions of the Oklahoma Taxpayer and Citizens Protection Act of 2007. Another case stopped an Oklahoma court from overreaching beyond the scope of HB 1804. 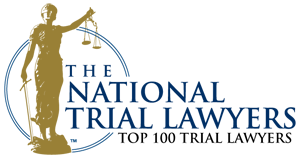 U.S. Chamber of Commerce v. Henry – A lengthy case originally filed in 2008 by the chambers of commerce for Tulsa, Oklahoma City, Oklahoma and the United States, along with the Oklahoma Restaurant Association and the Oklahoma Hotel and Lodging Association answered questions about Oklahoma employers’ obligations to verify citizenship. Thomas v. Henry 2011 OK 53 – An Oklahoma Supreme Court case decided in June, 2011 set aside bail restrictions for suspected unauthorized immigrants as a special law. That decision also found parts of HB 1804 prohibiting resident tuition to students who had passed GED high-school equivalency tests violated the state’s single-subject rule for legislative measures. Ochoa v. Bass 2008 OK Cr. 11 – An Oklahoma Court of Criminal Appeals decision in 2008 following emergency writ of habeaus corpus filed on behalf of two criminal defendants answered whether judges can question defendants under HB 1804. After a lengthy challenge to employer-related sections of Oklahoma Taxpayer and Citizen Protection Act of 2007 – HB 1804 – the U.S. Chamber of Commerce and Oklahoma officials agreed to a settlement. The lawsuit said Oklahoma’s law interfered with federal law. In an eventual negotiated settlement of Chamber v. Henry, two provisions previously stricken in 2008 by the U.S. Court for the Western District in Oklahoma remain unenforceable. A third provision stricken by the Western District but reinstated by the 10th Circuit Court of Appeals remains enforceable. The Western District struck down a section of HB 1804 that declared it a discriminatory practice for employers to discharge a U.S. citizen or permanent resident alien while keeping an employee who the employer knew or should have known to be an unauthorized alien. The other stricken provision had required contractors to verify citizenship status of subcontractors or withhold taxes from subcontractors at a maximum rate. Contractors who did not comply would be liable for the taxes. The contested provision eventually allowed to stand requires state and local agencies to use the federal E-Verify system to verify federal employment status of new employees. Public agencies may not issue contracts to contractors who do not also use the E-Verify system. The agreement to settle Chamber v. Henry followed a landmark decision in Chamber of Commerce of the United States of America v. Whiting, +131 S.Ct. 1968 (2011) where the court determined a similar provision in Arizona is not preempted by federal law. As did Chamber v. Henry, Thomas v. Henry 2011 OK 53 named then Oklahoma Governor Brad Henry as the first defendant. Micheal Thomas filed the case as a Tulsa County taxpayer. He was represented by his father, James C. Thomas, a University of Tulsa law professor, and attorney Steve Hickman. Thomas argued that HB 1804 creates a state Bureau of Immigration, which is prohibited by Article 5, Section 48 of the Oklahoma Constitution. He also challenged the law as a violation of Oklahoma’s single subject rule. Thomas challenged several aspects or the lawn, including whether it was passed in violation of the state single subject rule. The Oklahoma Constitution allows the state legislature to address only one subject in any piece of legislation. A trial judge in Tulsa County variously agreed and disagreed with Thomas’ multiple arguments. Most significant for criminal defendants in Oklahoma, the court struck down a provision that would deny bail to unauthorized immigrants who are charged with felonies or DUIs. That section of HB 1804 created a special law that would regulate the practice of courts, which is prohibited by Okla. Const. 4 § 46. The Oklahoma Constitution’s Bill of Rights Okla. Const. 2 § 8, spells out terms courts must follow when setting bail bonds in Oklahoma for all persons, regardless their residency or citizenship status. HB 1804 does not attempt to regulate immigration by determining who is a legal immigrant, but mandates compliance with federal immigration laws. With similar reasoning, the court further found that HB 1804 does not delegate state powers to federal government by requiring a state immigration verification system to rely on the federal e-verify. The state is merely cooperating with federal law and recognizes federal authority to regulate immigration. The Court found HB 1804 did violate the states single subject rule in part, but found the offending portion to be severable so it did not nullify the entire piece of legislation. To deny resident tuition for higher education to those who successfully have completed the GED examination was unrelated to the common theme of HB1804, which was to discourage illegal immigration, the court found. The other significant case defining the enforceable scope of HB 1804 dealt with a judge’s authority under the Oklahoma law to question defendants about their immigration status. In Ochoa v. Bass 2008, OK Cr. 11, the Oklahoma Court of Criminal Appeals concluded HB 1804 provides no authority and no obligation for judges to question defendants about their immigration status. Discussed at length in a previous blog post, another Oklahoma law provides authority for judges to order the arrest of a person who commits a crime in their presence, but a judge may not investigate crimes from the bench while hearing an unrelated case. Judge’s may have reason to question immigration status before pronouncing sentence, but even then the practice may be a bad idea, the criminal appeals court concluded. 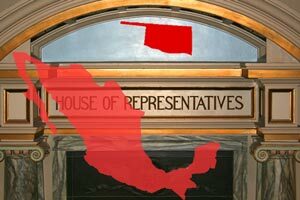 Oklahoma legislators in 2007 took a strong stance on immigration enforcement but federal laws are still the determining factor is who is allowed to live and work in the United States. ICE detainers or ICE holds remain a primary mechanism whereby U.S. immigration officials declare their intent to move inmates from local jails to federal immigration detention centers. Federal immigration enforcement remains the primary tool for implementing federal immigration laws. Under HB 1804 and federal immigration laws, state and local officials cooperate with federal officials, and implemented additional laws intended to discourage illegal immigration. 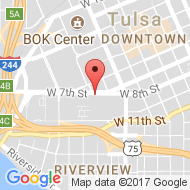 If you or a family member in an Oklahoma jail or prison has been named in an I-247 ICE detainer, immediately contact an Oklahoma immigration attorney. Your actions in state or local cases could affect your immigration status. To contact a Tulsa immigration attorney at Wirth Law Office, call (918) 879-1681 or send the immigration lawyer your question using the form at the top of this page.